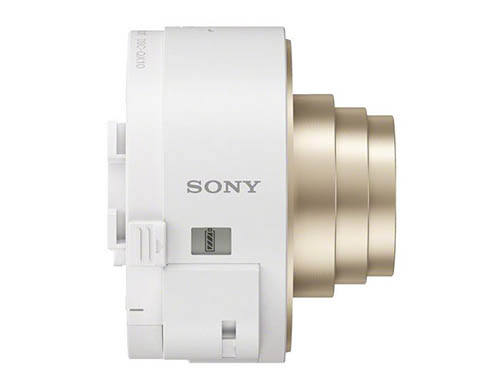 Sony will offer its Smart Shot lens attachments in a white and gold color that appears to match perfectly with the rumored gold iPhone 5S. SonyAlphaRumors released new photos and information about the accessory today. 1) The name of these cameras is actually “Smart Shot“. It’s a mix between Smart-phone and Cyber-Shot. 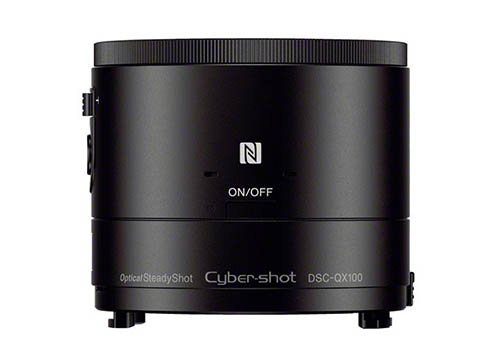 2) The SmartShot lenses have in lens stabilization! 4) Videos in HD video 1080/30p, format MP4. Can be recorded with low noise even in dark places. 5) The captured image is saved automatically in both the smartphone and memory in the camera. 6) You can control zoom, exposure, white balance, and focus on your mobile device. 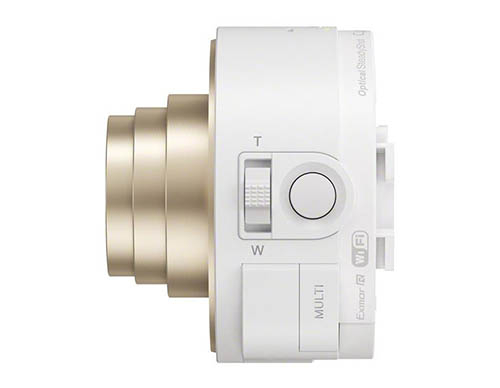 7) The QX10 has the same 1/2,3 inch 18 megapixel CMOS sensor and f/3,3-5.9 lens as the Sony WX150 ($400 on Amazon). WIll be priced at $250. 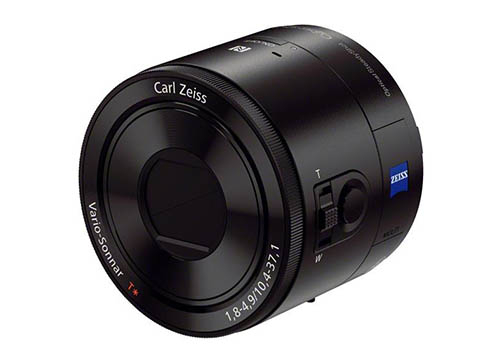 8) The QX100 costs $450. That is $300 less than the price of the RX100MII camera ($748 here at Amazon) that features the same sensor and lens! Greta pricing! You can get the best compact camera yet on market for $300 less. 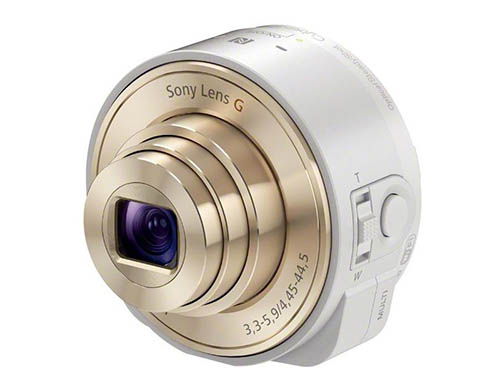 Take a look at the leaked photos below of the Smart Shot lenses.